Hey guys, I'm shopping around for a cheap BMW and I found a E39 wagon I really like but it looks to have a couple big things wrong with it and I'm wanting to know if I should run away or use them to haggle a lower price. 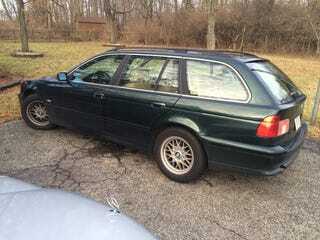 Guy is asking $2300 for a 2001 525i wagon. Says it needs an ABS control module and also says it has a weak reverse. Quick look shows a new ABS control module to be around $500 and the weak reverse seems to be a flaw in the transmission design on the zf 5hp19. Should I run away or are these things I might be able to fix/or have fixed cheaper and use them to haggle for a lower price?